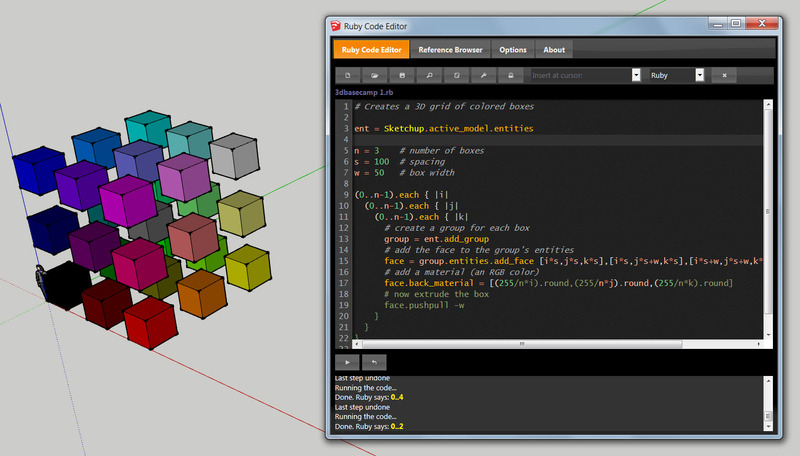 I finally got around to updating my Ruby Code Editor to version 3.0. There are quite a few upgrades including: better environment stability (editor, scrolling, results, etc. ), code completion for SketchUp classes and methods and a variety of other minor updates (including the fact that it now remembers the last file).